Maple Ridge, BC is a city filled with many vibrant and historical communities. 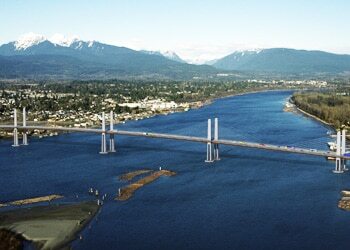 The large six lane Golden Ears Bridge, which was constructed in 2009, connects to Maple Ridge. The area is also home to celebrities such as the Miss Chinese International Pageant winner of 2004 Linda Chung, famous rock musician Matthew Good and country music singer and songwriter Madeline Merlo to name a few. Maple Ridge, BC residents looking for advice or help with securing a mortgage give ResCom a call today at 855-585-2080 or visit our contact page and experience the difference. Did you know that ResCom is always looking for mortgage agents in the Maple Ridge area to join our winning team? If you’re seeking a rewarding position as a mortgage agent with a company that is proven, trusted and experienced, visit our mortgage careers section today!